The stress of getting a healthy dinner on the table every night is overwhelming for many of us. Busy lives prevent us from having the time or energy to plan meals every day. Let MEAL5 help! This tool will make getting a healthy delicious meal easy and stress free. Most video recipes on MEAL5.com are 5 ingredients or less! There won’t be any weird ingredients that are hard to find, just readily available fresh ingredients. And if your family has a favorite ingredient, enjoy the convenience of having a simple plan that allows you to add it in. Simple, Healthy Video Meal Plans. 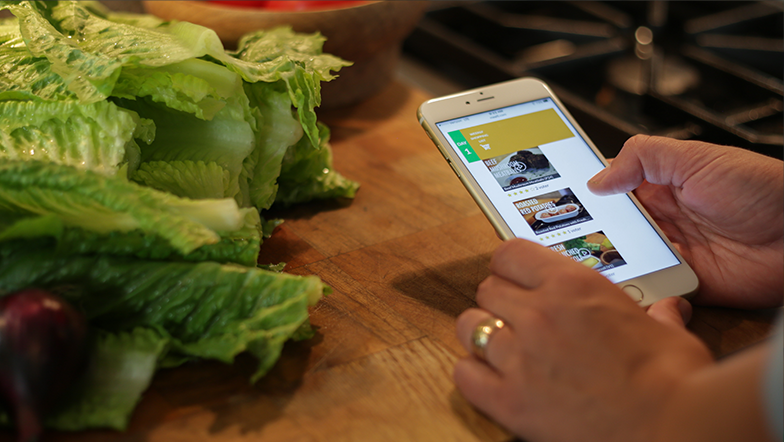 Every week, you receive a new meal plan with easy, quick videos that demonstrate each recipe. Also included is an organized shopping list as well as tips and tricks on how to use up leftover ingredients and ideas for healthy lunches and snacks. There’s a customizable feature that allows you to drag and drop video recipes into your own custom plan. You choose the recipes and side dishes you and your family want. No matter what the choice you'll be eating easy, healthy meals. MEAL5 makes dinner so much easier. You’re busier than ever so let us do the planning and thinking for you. Simple, 5-ingredient recipe videos will guide you through getting that healthy, delicious meal done in no time. So you and your family can spend more time being together and enjoying delicious, healthy food.